creative wiring | Off you go... into the purple yonder! 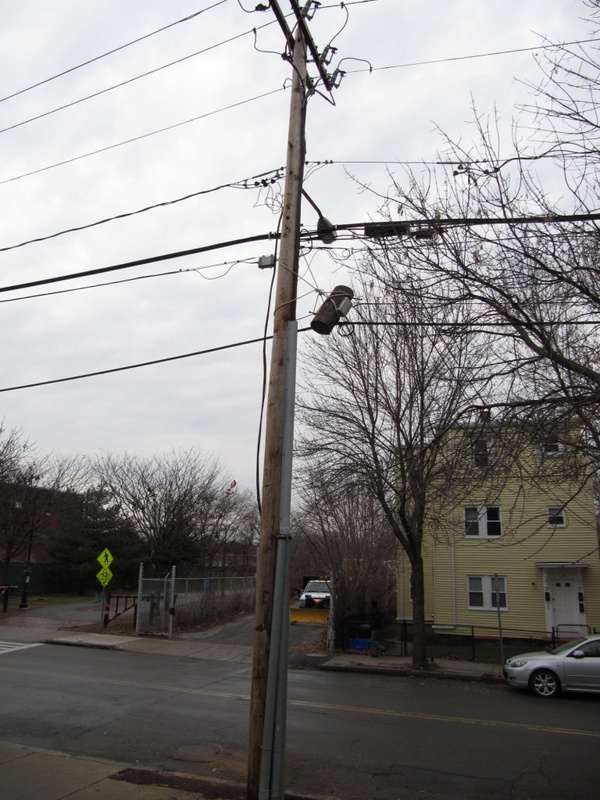 I’ve never understood why it is common in the US to run power, telephone and cable on poles, rather than underground. Particularly so in areas with much more extreme weather than the part of Europe that I’m from – where most utilities run underground. 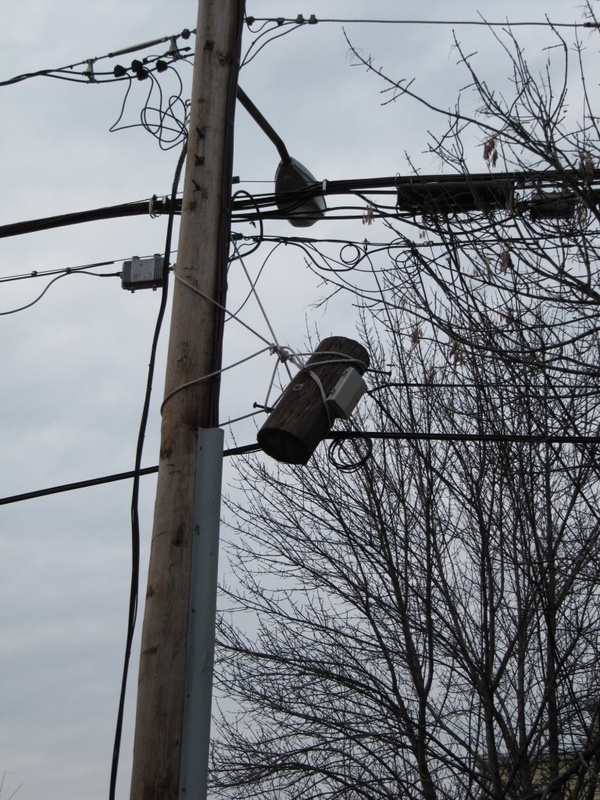 Sometimes, though, the pole-and-wire people get a little bit too creative. An old pole was removed yesterday near my house. Both old and new pole had been in place next to each other for quite a while – giving the utilities the chance to move the wires from the old pole to the new pole. I’m guessing one of the utilities did not get the memo. This is how they ‘secured’ some of the wiring that was still on the old pole to the new pole. In the part of Europe you come from, the power goes out half of the time (As they say : A. is de stad aan de stroom, G. is de stad zonder stroom). Where I’m from (a bit further to the east), we do have super-reliable poles though !! !